What is Solar Outdoor Lighting? It is officially a fact; solar Outdoor lighting is a contemporary yet stylish solution for the unique power needs of a designated property. In other words, unlike conventional power options, solar lighting tends to be more efficient and reliable solution for outdoor power needs. Moreover, using these types of lighting solutions offers myriad forms of benefits along with useful and practical design features that are a paragon of superior craftsmanship. Most solar panels turn off and turn on automatically based on outdoor lighting sensor and a light source. Furthermore, Most Solar Outdoor Lighting units are designed to work throughout the night. In fact, a majority of these kinds of lighting units can stay lit for more than twenty-four hours even if the sun is not available for a couple of days. Mono-crystalline panels-These types of lighting panels are regarded as one of the most efficient models. In fact, they are designed to provide maximum energy from minimal surface areas and offer the best life expectancy. However, they are in most cases expensive than their counterparts hence making them an excellent addition to gardens and home lighting or perhaps a greenhouse farm in the desert. Polycrystalline panels- these are particular types of scrap mono-crystalline panels that are reused. While they might never be as robust as their predecessors might in direct sun, they do get very close and their durable design construction makes them ultra-efficient in changing weather patterns. The polycrystalline panels are useful where bright light is needed for long durations and in open areas such as light security applications. Amorphous panels- these particular types of solar panels are found on smaller solar products that are designed to have low energy requirements and a shorter life span. One primary benefit of amorphous solar panels is they need very minimal light generate power. This sort of design enables them to work in shaded locations since they are simple to position anywhere for your unique lighting needs. Units that come with Amorphous Solar Panels are useful for lights that hang from trees or perhaps decorative path lights. Solar panel- a solar panel is one of the most critical components of an Outdoor Solar Lighting unit since it converts radiation energy into electrical power. Some of the popular panel designs are the monocrystalline and the polycrystalline units. Light emitting fixture- an LED, in most cases, is implemented as the primary lighting source is the contemporary solar lights since an LED provides more Lumens with lower power consumption. The average energy consumption of an LED fixture is at least 40% lower than conventional fixtures at that are usable in everyday lighting panels. Furthermore, LEDS have reduced heat emissions making them ideal for use with motion detecting systems. Rechargeable battery- a rechargeable battery will store sufficient solar energy during the day to provide the LED with power at night. The lifespan of the battery is crucial for the lifetime of the light, and the capacity of the battery will influence the backup capability of the lights. Some of the standard battery cells used include lead acid batteries and gel cell deep cycle batteries. Controller- a controller is also an important aspect of a solar street light. In fact, a controller is programmed to choose when to switch off/on of the lighting and charging procedure. Some new controllers can be programmed such that the user can decide the suitable adjustments of lighting, dimming and charging. The sun is a magnificent source of solar radiation energy without any monetary charges. However, our success with solar energy depends on how well we put it into use. Additionally, solar power products come with less moveable parts meaning that fewer parts are susceptible to damage. Perhaps one of the most exceptional benefits of solar lighting are the environmental benefits. Simply put, using solar light has little or no negative impact on the environment since it leaves no carbon footprints and unhealthy gaseous emissions. Solar power is a renewable energy source meaning that it is energy that naturally replenishes on a human timescale. The sun can provide radiation of energy for millions and millions of years to come. Conventional Solar Outdoor Lighting features reduced electrical parts meaning that the risk of electrocution is significantly reduced making them safe for negligent children and pets. Aside from offering reliable performance and impressive reliability, Solar Outdoor Lighting units can continue working even in the likelihood of prolonged power outage. Whereas conventional lighting units are susceptible to power outages and power failure, A solar lighting unit only requires solar heat. These types of solar lighting units offer excellent versatility since they are usable in a host of situations and settings including cabins, small homes, RV`S or perhaps remote locations. Moreover, it can be a tad bit expensive to set up power lines into your cabin in woods. What’s more, is that solar energy can be a perfect fit for myriad forms of lighting needs including indoor lights, walkway lights and security lights amongst many others. Are you interested in going solar? 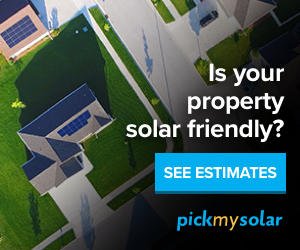 Get started using this solar panel cost calculator in going solar.